As you pass through Valle Encanto, the idyllic valley between Phases 1 & 2, you begin to see Las Mesas on the gentle slopes. This hilltop phase includes views through the valley to San Juan Bay and out to the Pacific. 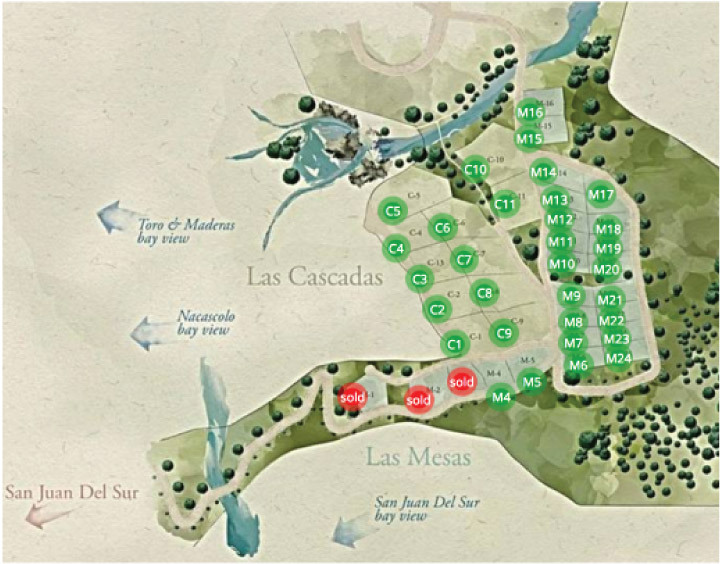 The 19 available lots in Las Mesas sit in a clearing between the collage of green at the top of the hill and the open sky over the burgeoning valley below. Native hardwood trees are scattered around the plots, left to grow so that each owner may determine their own vision for the land. Every Las Mesas lot includes water service fed by El Encanto’s high-capacity wells, which are backed up by the city of San Juan. Each home can also be connected to our new and highly available Hybrid Solar MicroGrid, should you want all the benefits of green power without the hassle. And, if you’d like horses, we have a corral nearby where they can be looked after.